in and out of the sporting arena. unimaginable levels of control and visibility in a whole host of applications. to shipments of goods to their distribution centers (Morphy, 2005, n.p.). rushing into sports applications for the technology. for RFID in the consumer world. to equip their branded balls with RFID tags (LaPedus, 2005). a look at Sports 2.0, as RFID helps reshape the sporting life and experience. game” to road racing of every form. use of RFID-chips attached to runners in the Berlin Marathon in 1994.
tracking via the Internet for friends, fans, press, and family members. (quoted in Ewalt, 2004, n.p.). as the track is known (Karle, 2004). read an identification number from metal rings attached to their legs. Facilitating faster patron entry into sports venues. 3.5 million tickets (Blau, 2006a). tickets into fixed scanners, positioned at the entry gates to the stadiums. only access information for the FIFA ticketing system (Stensgaard, 2006). name on which could not possibly match the ticket holder (Kelly, 2006). rather than as entertainment for the wealthy and powerful (Higgitt, 2006). their face value (Anonymous, 2006a). enter Detroit’s Ford Field on the day of the game (Anonymous, 2006b). ticketing – the 2008 Beijing Summer Olympics (Campbell, 2005). RFID-enabled Smart Cards – The “Golden Ticket”? solution to the problems of crowd control, security, and resale prevention. card solution that offers benefits in both ticketing and payments. individual game tickets via the phone or the Internet (Stadiacard, 2006). Millwall (Scotcomms Technology Group, 2006). tickets for sporting events in general and for football specifically. and taking cash-handling out of the equation (Collins, 2004). in its credit card operations (quoted in Anonymous, 2006c, n.p.). transactions with their mobile phones (Philips Semiconductors, 2006). as RFID-based applications become more commonplace in sporting venues. that in 2006, the way we measure first downs in football is with a chain! balls and players, making new opportunities for casinos and sports books. overload; it’s revolutionary on many, many levels. Anonymous (2006a). “Top FIFA official admits World Cup scalping.” Reuters News Service, June 18, 2006. Retrieved July 1, 2006, from http://www.intix.org/news.php?ArticleID=2166. Anonymous (2006b). “Arrests made for selling phony Super Bowl tickets.” NFL.com, February 8, 2006. Retrieved June 16, 2006, from http://www.superbowl.com/news/story/9217319. Anonymous (2006c). “MasterCard PayPass to be deployed at Major League Baseball stadiums.” RFID News, April 5, 2006. Retrieved July 5, 2006, from http://www.rfidnews.org/news/2006/04/05/mastercard-paypass-to-be-deployed-at-major-league-baseball-stadiums/. Anonymous (2005). “Goodyear’s RFID technology has high-profile success.” Auto Racing Daily, November 23, 2006. Retrieved February 15, 2006, from http://www.autoracingdaily.com/article.php?cid=4058. Anonymous (1997). “Read/Write tags track homing pigeons.” Automatic I.D. News Europe, March 1997: 4. World, May 26, 2006. Retrieved June 1, 2006, from http://www.pcworld.com/news/article/0,aid,125910,00.asp. Blau, John (2006b). “FIFA criticizes World Cup data gathering: Organizers have required fans to provide data such as name, date of birth and passport number, but they are mum on what data will appear on RFID tags.” InfoWorld, April 12, 2006. Retrieved June 1, 2006, from http://www.infoworld.com/article/06/04/12/77384_HNworldcuprfid_1.html. Campbell, Anita (2005). “RFID tags in sports tickets: Update.” RFID Weblog, June 14, 2005. Retrieved June 18, 2006, from http://www.rfid-weblog.com/50226711/rfid_tags_in_sports_ticketsupdate.php. ChampionChip (2006). “ChampionChip technology.” Retrieved March 20, 2006, from http://www.championchip.com/home/index.php. Collins, Jonathan (2005). “Smart soccer ball misses its goal: Soccer’s international governing body has canceled plans to use an RFID-enabled scoring system at the 2006 FIFA World Cup international soccer tournament.” RFID Journal, December 5, 2005. Retrieved January 30, 2006, from http://www.rfidjournal.com/article/articleview/2029/1/1/. Collins, Jonathan (2004). “RFID enters the sports arena: Two NFL stadiums are leading the way in one company’s efforts to use RFID to speed payments, increase customer insight and boost consumer spending.” RFID Journal, July 30, 2004. Retrieved May 24, 2006, from http://www.rfidjournal.com/article/articleview/1068/1/1/. March 3, 2004. Retrieved July 5, 2005, from http://www.informationweek.com/story/showArticle.jhtml?articleID=19205568. Higgitt, Duncan (2006). “Still a fan’s World Cup?” Western Mail, June 10, 2006. Retrieved June 30, 2006, from http://icwales.icnetwork.co.uk/0100news/features/tm_objectid=17207626&method=full&siteid=50082&headline=still-a-fan-s-world-cup–name_page.html. RFID Journal, May 31, 2004. Retrieved February 14, 2006, from http://www.rfidjournal.com/article/articleprint/965/-1/1/. Kelly, Maxim (2006). “Tech sector set to score at World Cup.” Electric News, May 19, 2006. Retrieved June 16, 2006, from http://www.electricnews.net/ffocus.html?code=9688040. Koenig, David (2006). “Banking on credit cards at the ballpark.” USA Today, June 6, 2006. Retrieved June 20, 2006, from http://www.usatoday.com/tech/news/techinnovations/2006-06-06-ballpark-devices_x.htm. Kuchinskas, Susan (2005). “RFID tags a booming biz.” Internetnews.com, (January 12, 2005). Retrieved from the web on January 16, 2005. Available at http://www.internetnews.com/wireless/article.php/3458331. LaPedus, Mark (2005). “Radar Golf claims breakthrough with RFID golf balls.” Silicon Strategies, (January 25, 2005). Retrieved from the web on February 12, 2005. Available at http://www.informationweek.com/story/showArticle.jhtml?articleID=57703713. MasterCard International (2006). “MasterCard PayPass – Frequently Asked Questions.” Retrieved June 30, 2006, from http://www.mastercard.com/us/personal/en/aboutourcards/paypass/faqs.html#1. Morphy, Erika (2005). “RFID is here: What is your customer plan?” CIO Today, (June 17, 2005). Retrieved June 21, 2005, from http://www.cio-today.com/news/RFID-Is-Here–What-Is-Your-Plan-/story.xhtml?story_id=1010000274YP. O’Connor, Mary Catherine (2005a). “RFID and the media revolution: Renowned futurist Paul Saffo predicts that RFID’s biggest impact will come from surprising applications.” RFID Journal, (April 13, 2005). Retrieved April 20, 2005, from http://www.rfidjournal.com/article/articleview/1508/1/1/. O’Connor, Mary Catherine (2005b). “RFID takes a swing at ticket fraud: By embedding RFID tags into tickets for the Tennis Masters Cup 2005, organizers were able to curtail counterfeiting, increase revenues and speed patrons’ entry into the stadium.” RFID Journal, (April 13, 2005). Retrieved May 14, 2006, from http://www.rfidjournal.com/article/articleview/2060/1/1/. O’Connor, Mary Catherine (2005c). “Sports fans use RFID to pay and play: A group of season ticket holders at Atlanta’s Philips Arena can use RFID-enabled cell phones to download video clips and pictures of players—and, eventually, to make purchases.” RFID Journal, (December 16, 2005). Retrieved June 30, 2006, from http://www.rfidjournal.com/article/articleview/2051/1/1/. Philips Semiconductors (2006). “How would you like to pay for that? Cash, card or phone? Philips and Visa usability study shows consumers like the convenience of contactless payment using Near Field Communication.” Semiconductor News, April 5, 2006. Retrieved July 6, 2006, from http://www.semiconductors.philips.com/news/content/file_1231.html. Sandoval, Greg (2006). “Can the Net make ticket scalping legit?” News.com, June 5, 2006. Retrieved June 15, 2006, from http://news.com.com/Can+the+Net+make+ticket+scalping+legit/2100-1032_3-6079684.html. Scotcomms Technology Group (2006). TeamCard. Retrieved June 28, 2006, from http://www.scotcomms.co.uk/pdfs/teamcard_all.pdf. Stadiacard (2006). “Membership Card – One customer, one membership card and one record.” Retrieved May 12, 2006, from http://www.stadiacard.com/marketing/membership_card.html. Stahl, Stephanie (2005). “Editor’s note: RFID at the core of biz processes.” InformationWeek, January 31, 2005. Retrieved from the web on February 1, 2005. Available at http://www.informationweek.com/story/showArticle.jhtml?articleID=59100620. Stensgaard, Anne-Birte (2006). “Philips and the 2006 FIFA World Cup.” AME Info, June 8, 2006. Retrieved June 15, 2006, from http://www.ameinfo.com/88301.html. InformationWeek, November 28, 2005. Retrieved February 15, 2006, from http://www.informationweek.com/story/showArticle.jhtml?articleID=174401417. Swedberg, Claire (2005). “RFID tracks tires at NASCAR: Goodyear used handheld interrogators and embedded tags to keep track of leased racecar tires.” RFID Journal, November 25, 2005. Retrieved February 15, 2006, from http://www.rfidjournal.com/article/articleview/2006/1/1/. Texas Instruments (2005). “Sports timing: Changing the profile of racing events.” Retrieved July 7, 2005, from http://www.ti.com/rfid/docs/applications/sports.shtml. Thomas, Daniel (2004). “Sports clubs kick off with smart ticketing.” VnunetNews, February 6, 2004. 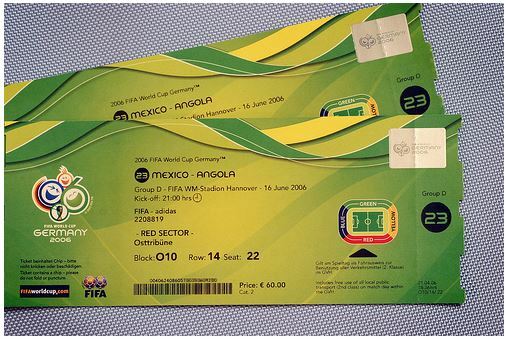 Retrieved May 13, 2006, from http://www.vnunet.com/vnunet/news/2124268/sports-clubs-kick-smart-ticketing. Van, Jon (2005). “RFID spells media revolution, futurist says.” Chicago Tribune, 124(104) (April 16, 2005): B1. Wyld, David (2006). “RFID 101: The next big thing for management.” Management Research News, 29(4): 154-173. For a detailed and highly readable look at RFID technology, please consult the following report: Wyld, David C. (2005) RFID: The right frequency for government, A research monograph published by The IBM Center for the Business of Government, Washington, DC, October 2005. Retrieved October 23, 2005, from http://www.businessofgovernment.org/main/publications/grant_reports/details/index.asp?gid=232.